In 2013, it was ‘the year of the financial breach.’ In 2014, the ‘year of the retail hack.’ In 2015, we saw at shift to healthcare while in 2016 ransomware reigned and democracy came under fire. Such attacks have been in the news a lot recently. Let’s take a step back and understand what we’re up against and what can be done. A non-malware attack is one in which an attacker uses existing software, allowed applications and authorised protocols to carry out malicious activities. Non-malware attacks are capable of gaining control of computers without downloading any malicious files, hence the name. Non-malware attacks are also referred to as fileless, memory-based or ‘living-off-the-land’ attacks. With such attacks, an cyber criminal is able to infiltrate, take control and carry out objectives by taking advantage of vulnerable software that a typical end user would leverage on a day-to-day basis (think web browsers or MS Office-suite applications). Attackers will also use the successful exploit to gain access to native operating system tools (think PowerShell or Windows Management Instrumentation (WMI), or other applications that grant the attacker a level of execution freedom. Non-malware attacks leverage a robust suite of tactics and techniques to penetrate systems and steal data without using malware. 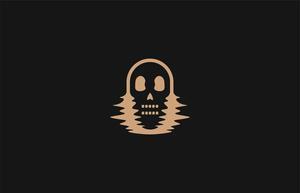 They have grown in prevalence in recent years as attackers have developed ways to launch these attacks at large scale. Almost every Carbon Black customer (97 per cent) was targeted by a non-malware attack in 2016. Their ubiquity is clear and growing. Over a 90-day period, one-third of organisations can expect to be targeted by a severe, non-malware attack. There is a common theme why cyber criminals are increasingly leveraging non-malware attacks: they are following the path of least resistance. Read more ​Is your organisation ready for the new data breach notification legislation? Traditional AV and machine-learning AV are designed to identify threats at a single point in time – when a file is written to disk. Since they only look at the attributes of an executable file, they are completely blind to attacks where no files are involved – as with non-malware attacks. 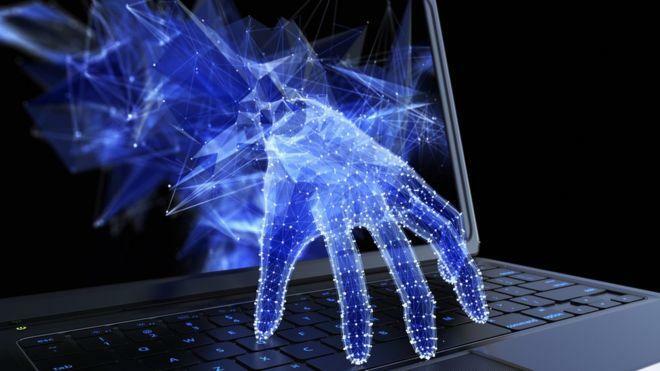 If the goal of an attack is to gain a foothold or exfiltrate valuable data, then non-malware attacks accomplish this goal without fear of detection, especially when organisations are relying on legacy AV and machine-learning AV. 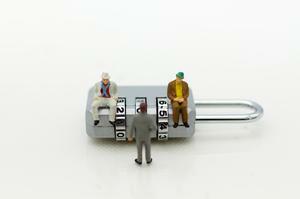 Read more Should vulnerabilities and malware be our #1 security priority? 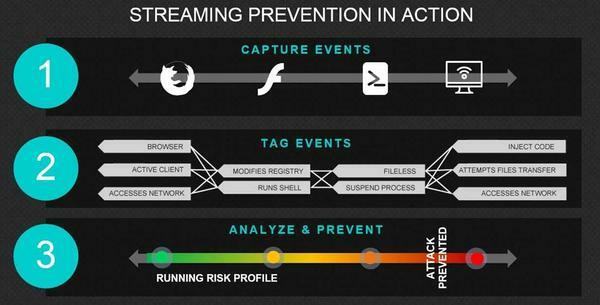 Streaming prevention offers a fundamentally new approach to identifying and preventing cyberattacks. Current approaches used by legacy AV and machine-learning AV focus exclusively on files and do nothing to target an attacker’s behaviours. In contrast to legacy AV and machine-learning AV, streaming prevention monitors the activity of applications and services, including communications between processes, inbound and outbound network traffic, unauthorised requests to run applications, and changes to credentials or permission levels. Streaming prevention doesn’t just monitor individual events on an endpoint; it monitors and analyses the relationships among events. Sticking with the example above, browsing the web, running Flash and invoking PowerShell are each, in their own right, viable and necessary events, but what about when they appear as a cluster of events? It’s simply not normal behaviour and, as such, can be tagged, flagged and automatically shut down by streaming prevention before the attacker can carry out objectives.